Pinelake runs with our lovechild, Athens own CCROTCHHH! Special Info: No Dogs, bring chair and post hashing gear, remember to HYDRATE. Look for hashers discussing the Great Fire of Rome in 64 CE. SPECIAL INSTRUX-- meet at the Indian Trail Park and Ride (I-85 North to Indian Trail exit and follow the signs). Meet at 12:45, wheels up at 1:00. NO LATE COMERS! 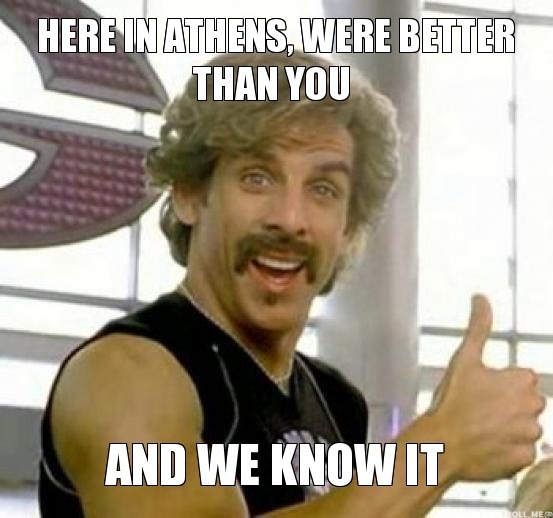 If you're late and you don't see any hashers there, you'll have to drive yourself to Athens!